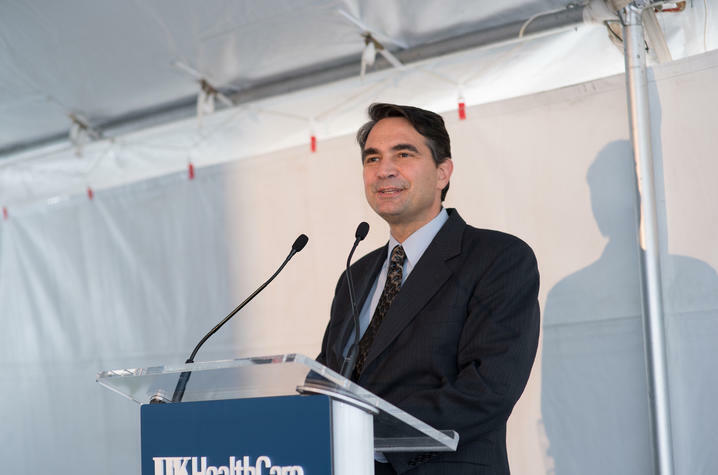 LEXINGTON, Ky. (Sept. 14, 2018) — Dr. Stephanos Kyrkanides encourages innovative and dynamic approaches to patient care, research and education in his role as dean of the University of Kentucky College of Dentistry. The renowned clinician and researcher joined the UK College of Dentistry in August 2015. Prior to joining UK, he served as the associate dean for research and faculty development at Stony Brook University School of Dental Medicine, one of the leading public research institutions in the country. Under Kyrkanides's leadership, the UK College of Dentistry has continuously improved the scope of treatment, education and research. 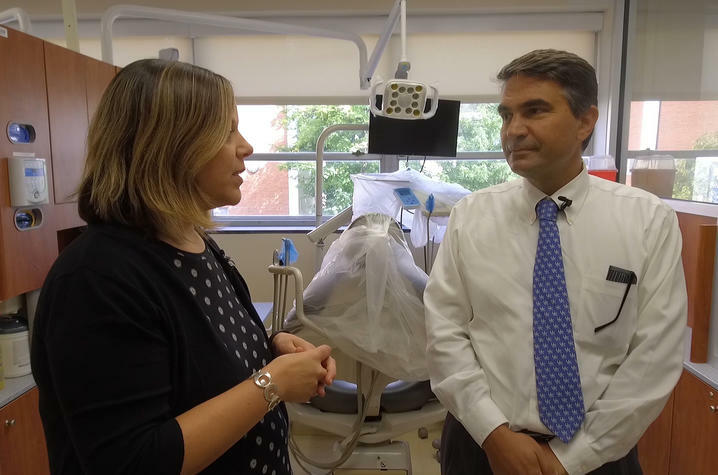 As one of five institutions nationwide to pilot a new digital dentistry curriculum, the college has worked to compliment conventional dentistry with digital dentistry both in its curriculum and in its dental clinic. Watch the video above to discover why Dean Kyrkanides is so proud of his dental students, faculty and staff. Dr. Stephanos Kyrkanides serves as dean of the University of Kentucky College of Dentistry. Previously he served as associate dean for research and faculty development and chairman of the Department of Orthodontics and Pediatric Dentistry at the Stony Brook University School of Dental Medicine. Before joining Stony Brook, he held numerous academic and administrative positions at the University of Rochester. His research focuses on regenerative dentistry, having invented Natural Enamel, a new biomaterial for use in CAD/CAM dentistry. In collaboration with principal investigator and inventor, Dr. Sabine Brouxhon, Kyrkanides’ wife, he developed a novel cancer therapy that was licensed by the Avalon Ventures/GlaxoSmithKline consortium. Kyrkanides received his DDS degree from the National University of Athens School of Dentistry in Greece and trained in orthodontics, orofacial pain and advanced education in general dentistry at the Eastman Dental Center in Rochester, New York. He received a master’s degree and doctoral degree in neurobiology and anatomy from the University of Rochester, and completed postdoctoral training in molecular medicine and gene therapy at the University of Rochester Center for Aging and Developmental Biology.